ABF The Soldiers’ Charity has supported Turn to Starboard since its founding in 2012. Turn to Starboard supports Armed Forces personnel with physical and mental injuries using the known therapeutic effects of the sea. The charity offers participants the chance to complete Royal Yachting Association (RYA) courses to gain valuable qualifications. 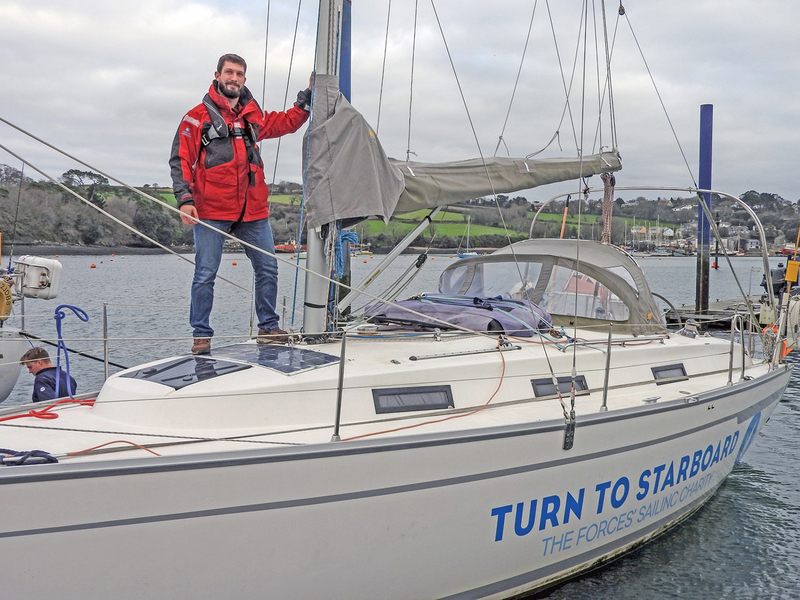 To challenge himself, Dave took the plunge and booked himself on to a week-long sailing on board the training yacht, ‘Bluster’, and spent five days literally learning the ropes along Cornwall’s picturesque coastline. By the end of the week, Dave was awarded his Royal Yachting Association (RYA) Competent Crew certificate. He has continued to build his seafaring skills and has recently passed the RYA Day Skipper theory exam with an aim to qualify as a RYA Yachtmaster. The highly respected qualification is recognised worldwide and brings with it many job opportunities such as a sailing instructor, charter skipper or professional yacht delivery.